Kangaroo Express is a chain of convenience stores all over Southeastern United States. With over 1,500 locations in 13 states, they are committed to providing fast service in a clean, friendly environment. Whether you need fuel, snacks, or meals on the go, this is your one stop shop. They are so confident in what they provide that they offer a 100% satisfaction guarantee on their fuel. Their loyal customers can feel good about their high quality fuel. If any customers experience a mechanical issue because of their fuel, they promise to pay for any repairs involved. Whether you need it hot or cold, they have the beverage you crave. Customers can enjoy anything from fountain sodas and frozen treats to Bean Street Coffee in their special Roo Mug. The Roo Mug is a fantastic value available for $1.99 with $0.99 refills and even free refill days. This business is built on a set of core values. These values are at the center of everything they do and have made them the strong business they are today. Customer Service – Without customers, they would have no business. They deserve excellent treatment by a friendly staff that depends on them. Integrity – Honesty in actions and words and trust between teammates and customers benefit everyone. Respect – Value ideas of others and diversity in culture. Communication – Sharing information and getting feedback is what allows constant improvement. Accountability – Take ownership of your actions and take pride in your results. Profitability – This business is always looking for ways to operate more efficiently and profitably keeping their business growing. Obviously, they value their customers with all of these services they provide. Something they value just as much as customers is their outstanding staff. Without hustling associates, this level of convenience and value would not be possible. It’s thanks to the people who work there that make them the leading convenience store in the Southeast. Interested in joining this team? Read on and learn more about Kangaroo Express careers. Kangaroo Express convenience stores are operated by The Pantry, which was founded in 1967 by Sam Wornom and Truby Proctor, Jr. This company saw rapid growth through acquisitions starting in the 1990’s making Kangaroo Express one of the largest convenience store chains in the United States. Kangaroo Express’ “Salute our Troops” campaign has generated over $10 million for charities that support current and former military. The Pantry has been a Fortune 500 company since 2007. Hiring requirements for Kangaroo Express jobs vary depending on which position you’re applying for. One requirement that all applicants must meet: a commitment to providing fast, friendly, clean convenience. Visit their careers website so you can see responsibilities and a job description of a job you’re interested in. The application form will indicate any specific hiring requirements. The employer will accept your resume, cover letter, and Kangaroo Express application for consideration. All qualified, motivated candidates will be contacted in order to advance with the interview process. This is where more information about salary and benefits will be shared so they can answer any questions about them or the position. How old do you have to be to work at Kangaroo Express? The minimum age for a job with this company is 18 years old. There is no maximum employment age; all applicants above age 18 may apply. Any asset to a business must be taken care of in order to perform at its highest level. Since Kangaroo Express’ most valuable asset is their amazing staff, they take care of them with competitive wages and benefits. See below for a few average wages than can be expected at this company. Clearly, there is a lot of room for growth in a career with this business. Wages aren’t the only reason this business is a great place to work. They also offer employees a fantastic benefits package. Benefits for a career with them could include the following. In addition to these benefits, they have made a proud commitment to hiring military personnel and family members. At least one-third of their associates are either veterans or members of military families. They see a massive importance in America’s armed forces that make sacrifices defending this country. They believe it’s the least they can do to give back by hiring those brave men and women and their families. If you are part of a military family, please fill out a Kangaroo Express job application online. At Kangaroo Express, it’s important for them that their employees grow personally and professionally working with them. Associates in every level of this business are crucial to providing a fast, friendly, convenient environment they pride themselves on. For Kangaroo Express jobs, helpful application links are listed below. 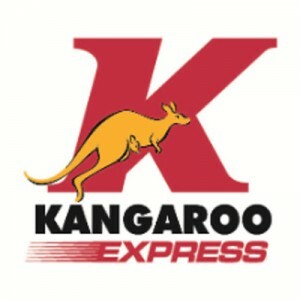 Kangaroo Express jobs online are easy to find. A printable application for Kangaroo Express is not available so please apply for any available positions online. Since they do not have a printable application form, there is no need to submit a physical, direct application. Men and women seeking employment can visit the website for a free application. They are constantly striving to improve Southeastern United States and focus on customers’ daily needs. If you’re interested in being part of that vision, please apply for jobs at Kangaroo Express with their online application. All Kangaroo Express locations are open 24 hours a day, 7 days a week. However, restaurants within their convenience stores do not always have identical hours. For restaurant and corporate positions, hours will be discussed in the interview process so they can find a shift that works for all parties involved. This diverse business is an equal opportunity employer. They are constantly seeking out a diverse group of people who can help them improve their business, making customers’ lives better. This company wants your job inquiry with them to be successful. They want applicants to find a job with them that would be a good fit. When considering a position with this company, consider your own skills, knowledge, and qualifications. Which positions are your qualifications compatible with? When filling out a Kangaroo Express application, be thorough, honest, and accurate. Be sure all relevant experience and education is included. The employer wants a chance to get to know potential employees when examining applications. How your application is filled out is their first impression of you. It’s a good idea to review all information after your initial completion of the application before submission and ensure accuracy. An extra advantage when applying for a job can easily be obtained by writing a well written cover letter. This is a good way to get more positive attention from your potential employer. This will also further help them in understanding why you’re interested in a job with them. If there is potential for a job for you, the employer will try making contact via telephone or email. Please make sure you’re providing them with current contact information. Stay on top of your phone calls and emails in case they are trying to make contact so you can move forward with the application process. If you’re chosen to be interviewed for a job, make sure you’re at the right place at the right time. If you have any questions regarding time or location of an interview, then please do not hesitate to contact the employer. They should be happy assisting potential employees. You may find several jobs that you’re qualified for and interested in on the website. If so, feel free to submit multiple applications. This business truly believes that the convenience store industry is a great one to get into, regardless of where you work. If you’re interested in a career in convenience stores, but for some reason Kangaroo Express careers do not work for you, there are several other options. One of the top competitors is 7-Eleven. 7-Eleven has a large, international presence, which is good if you are not local to any Kangaroo Express locations. If you live near a 7-Eleven location, it would be a great way to get into the convenience store industry. A regional competitor is RaceTrac. While RaceTrac does not have as many locations as Kangaroo Express, it is another one of many options for convenience stores where you can work. On The Run: See our guide for careers at On The Run. Shell: Shell offers opportunities for both, beginners and experienced roles. Holiday Station: For career opportunities, fill out the Holiday Station online application. CITGO: For employment at CITGO visit the application page. Kum & Go: Kum & Go offers opportunities for both, beginners and experienced roles.